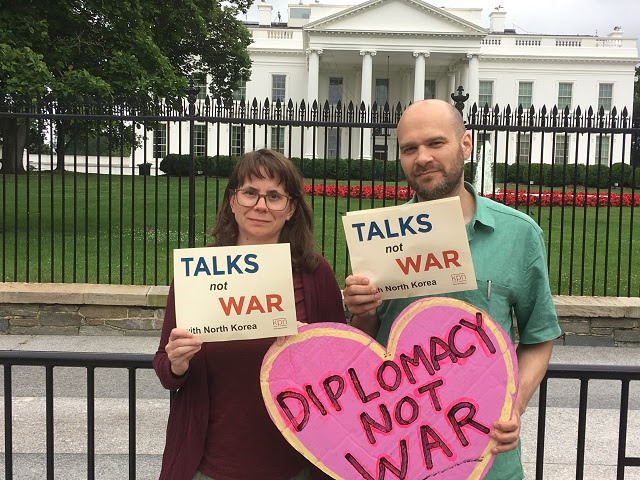 73 years have passed since the United States dropped atomic bombs on Hiroshima and Nagasaki, 48 years since the Nuclear Non-Proliferation Treaty (NPT) took effect, and almost one year since the Treaty on the Prohibition of Nuclear Weapons opened for signing. Yet the five original nuclear weapons states, led by the United States, have not taken serious action on their commitments to abolish nuclear weapons. After threatening North Korea with “fire and fury”, President Trump held a summit meeting with Chairman Kim Jong-un, but much work remains to resolve the nuclear crisis with North Korea and bring peace to the Korean peninsula. He unveiled a Nuclear Posture Review that for the first time declares that the U.S. might use nuclear weapons against non-nuclear threats, and he continues to fund the $1.2 billion nuclear weapons escalation program. President Trump broke the Iran nuclear deal, falsely claiming that Iran was a nuclear threat. Now, Democrats are falling over themselves to denounce President Trump for even meeting with President Putin and discussing an extension to the New START nuclear treaty. In reality, it is the United States’ 6,500 nuclear warheads, although with those of the other nuclear powers, that pose an imminent threat to humanity. The President can launch a civilization-destroying nuclear war on his sole authority. Without a powerful grassroots movement dedicated to nuclear disarmament, the world’s nuclear crisis will only get worse instead of better. 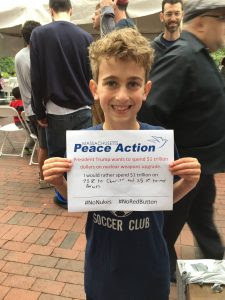 Therefore, Massachusetts Peace Action joins with peace groups, people of faith, youth, community groups, and human rights advocates who have organized events across Massachusetts on August 4-9, 2018, to call attention to the people’s demand for an end to the $1 trillion nuclear weapons escalation and the failure of the United States to support the nuclear ban treaty. We urge your or your organization to plan an event in your town, church, or campus. Send information on your events to info@masspeaceaction.org. We will publish a calendar of events across the state so that all people who seek a peaceful world will know that they are not alone! 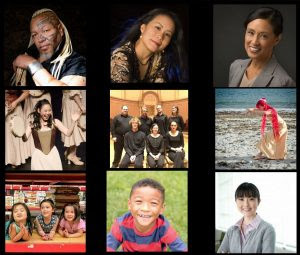 Last year, we listed 17 events in Massachusetts and we hope to top that this year! We hope you will collaborate with us in this joint effort! Contact 617-354-2169 or info@masspeaceaction.org with questions or to connect and exchange ideas. We have posted the Massachusetts events we know about here. Sunday, August 5, 7:00 pm, Easthampton – Hiroshima/ Nagasaki Commemoration. Music by Mountain River Taiko, Jayme Winell of Flame n’ Peach, and free ice cream. Sponsored by the Resistance Center for Peace & Justice. Nashwannuck Pond. Monday, August 6, 7:30 am, Waltham – Waltham Concerned Citizens will vigil at the corner of Main and Moody Streets on Waltham Common. For more info, people can email info@walthamconcernedcitizens.org. We urge you to plan an event in your town, church, or campus. Send information on your events to info@masspeaceaction.org and we will add it to our current calendar so that all people who seek a peaceful world will know that they are not alone! Last year, we listed 17 events in Massachusetts and we hope to top that this year! We hope you will collaborate with us in this joint effort! Contact 617-354-2169 or info@masspeaceaction.orgwith questions or to connect and exchange ideas.